A documentary looks at the videogame culture as two masters of the retro world compete for primacy. Hot-sauce magnate Billy Mitchell , the reigning champion of Donkey Kong, faces a challenge from a Washington schoolteacher. "I don't smoke, I don't drink, I don't do drugs," declares one diehard gamer in Seth Gordon's winning documentary, The King of Kong. "I play videogames, which is a far superior addiction." A deep, dark look into gaming culture - pasty-faced guys with astounding hand-eye coordination and an obsession for "retro games" like Pac-Man - Gordon's film focuses on the rivalry between the long-reigning Donkey Kong champion and a nice-guy schoolteacher challenger. 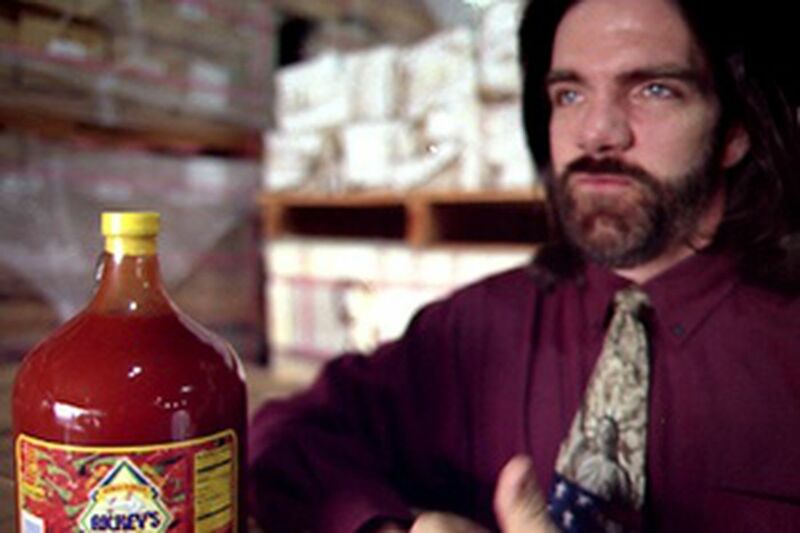 In one corner: a long-haired chicken-wings, hot-sauce magnate named Billy Mitchell, who has held the highest Donkey Kong score known to humankind (and nerdkind, too). In the other: Steve Wiebe, a Washington state schoolteacher and family man with a Donkey Kong arcade game in his garage. Wiebe has invested thousands upon thousands of hours studying the daunting levels of barrels, fireballs and ladders that make up a game one player describes as "ridiculously difficult right from the first screen." Wiebe has mapped and graphed it, and mastered the joystick. He is ready to play. But Mitchell and his legion are not ready to accede. With supporting characters that could have just stepped out of a Christopher Guest mockumentary - a Star Wars-quoting, guitar-strumming referee, a Machiavellian mentor longing for his 15 minutes of fame - The King of Kong is thoroughly engaging, even as it explores the ugly underbelly of competitive gaming. Can a videotaped home game produce a legitimate score for the record books, or do the real titles have to be won in a "live game" in an officially recognized arcade venue? And are there people that really care about that question? Directed by Seth Gordon. With Walter Day, Billy Mitchell and Steve Wiebe. Running time: 1 hour, 19 mins.